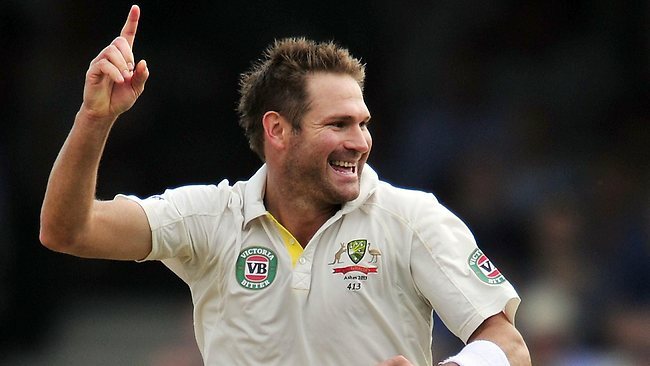 Some have already cemented their places with some fine performances over the past six months, Ryan Harris included. The ultimate aim for his return is to have him fly over to the UK when the tests start in July. His extended break from cricket, including the upcoming West Indies series, is undoubtedly important when it comes to rest for the paceman’s aching limbs. The impact of the 35 year-old New South Welshman cannot be understated in the previous Ashes series in Australia, with 22 wickets against the old enemy. With the onus squarely on the hosts after a flotilla of problems, Harris could strike a blow at the heart of the English. Australia’s greatest asset in 2013-2014 was an unchanged line-up. Sheer consistency allowed them to ruthlessly put England in a corner. Now though, the cycle is changing fast, and the conditions are vastly different to the faster, drier pitches in Australia. Peter Siddle was on the outer for the 2014/2015 summer, bringing Josh Hazlewood to the fore. Mitchell Starc’s white-ball form and pace has suggested he could transfer his performances across to the longest format of the game. Mitchell Johnson seemed to lose his Ashes aura, and Shane Watson almost limped to the finish line after each game. Whereas Harris works to find swing and seam on a good line and length, Johnson uses sheer pace hurtled down at breakneck speeds. Even a knee injury didn’t stop Harris when it mattered, hurtling around on the field like a cat out of the bag. Harris’ mentality is such that, despite the setbacks in his shortened test career, he acts like a leader on field. The Dukes ball used in England has a higher durability level than the Australian Kookaburra ball, giving advantage to the pace bowlers across a much longer period of time. While Harris will miss the series against the West Indies in June, the extra lay-off since the end of the 2014/2015 Australian test series could allow him to go with extended spells at the start of the Ashes. The likes of Jason Gillespie and Glenn McGrath have fully endorsed the use ball, darker in colour and more prominent in the seam. Despite 20 wickets when last in England in 2009, Johnson has not played a test in the country for six years. And the switch in bowling “leader” to Harris didn’t seem to put mental strain on the paceman. Critically, Siddle’s haul of wickets in the Sheffield Shield final in March put him back on the map of selection. However, his pace and movement in the test arena took a slide last summer, and right now the Victorian sits behind frontrunners Harris, Johnson, Starc and Hazlewood. Harris’ perfect partner in crime would be Starc. The explosive speed and swing the left-armer found outside the test arena demonstrated a vastly improved action and mentality. The current England and New Zealand series has demonstrated enough that the conditions suit early movement with the new ball, but the effort afterwards must come from the bowlers. The Lord’s slope has long benefited pace bowlers, and it will be up to Harris to be prepared coming into the first test. From there, the rest may be up to the ball. Johnson, Starc and Hazlewood all have a chance to prove themselves in the West Indies, but the conditions come England will be vastly different.